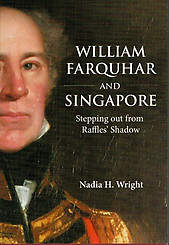 Brushed aside by the Raffles PR machine and, possibly, the inability of many in Malaysia and Singapore to pronounce his surname correctly, William Farquhar and his legacy have not today matched the high regard in which they were held during his life time. Based on research of the British East India Company records and other contemporary sources, Nadia Wright demonstrates that much of the credit for the establishing of the Singapore settlement that has been attributed to Raffles, more properly belongs to his subordinate, Farquhar. 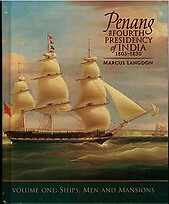 The book covers Farquhar's successful role as Resident and Commandant of Malacca before moving on to Singapore take up the same position in the vital first four years of its rule by the Company. 258 pages with a bibliography, index and about 50 colour illustrations. Condition: New. 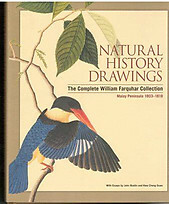 Hardback in a similar dust jacket. You may also be interested in these related books.